Readers of Paul today are more than ever aware of the importance of interpreting Paul s letters in their Jewish context. 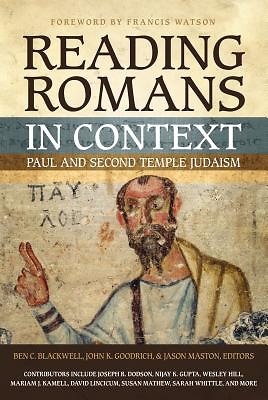 In Reading Romans in Context a team of Pauline scholars go beyond a general introduction that surveys historical events and theological themes and explore Paul s letter to the Romans in light of Second Temple Jewish literature. In this non-technical collection of short essays, beginning and intermediate students are given a chance to see firsthand what makes Paul a distinctive thinker in relation to his Jewish contemporaries. Following the narrative progression of Romans, each chapter pairs a major unit of the letter with one or more thematically related Jewish text, introduces and explores the theological nuances of the comparative text, and shows how these ideas illuminate our understanding of the book of Romans.